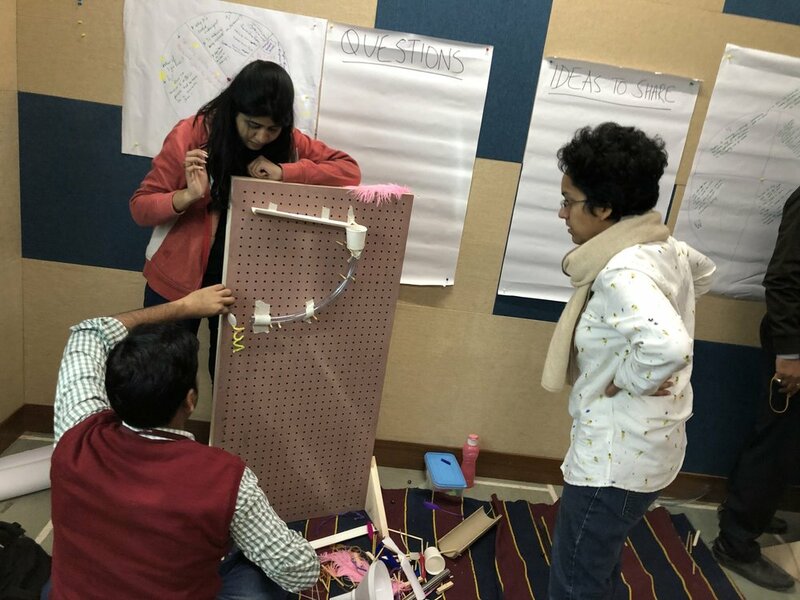 Dharohar Tinkering Workshop Day 1 — Wonderful Idea Co.
Last week I arrived in Udaipur, India for a project with Dharohar, a local education initiative that runs a pop-up space in a mall and develops science/art activities for schools and families. They are in the process of prototyping new ideas for a permanent space in the city, as well as a large open outdoor jungle space. 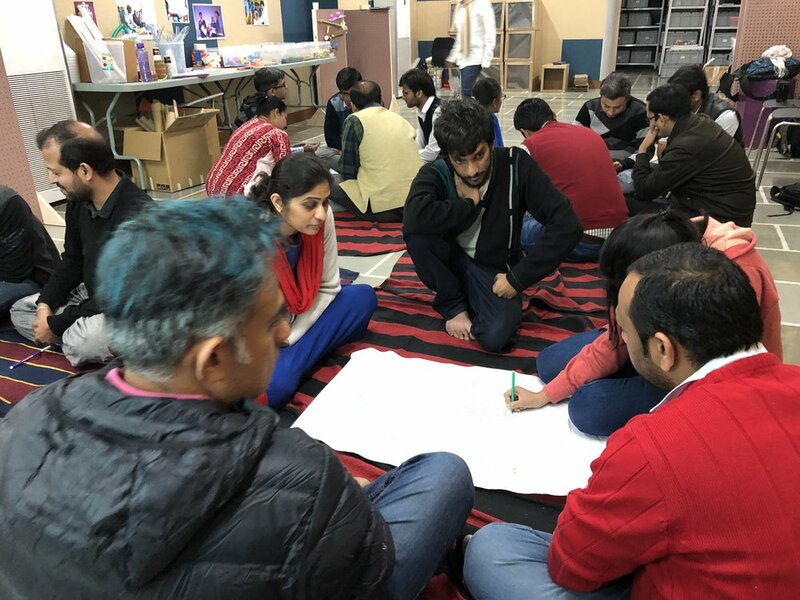 Our plan was to provide a intensive workshop for some of their education and content development staff and dedicated volunteers as an initial experience before moving into co-facilitating activities for kids. 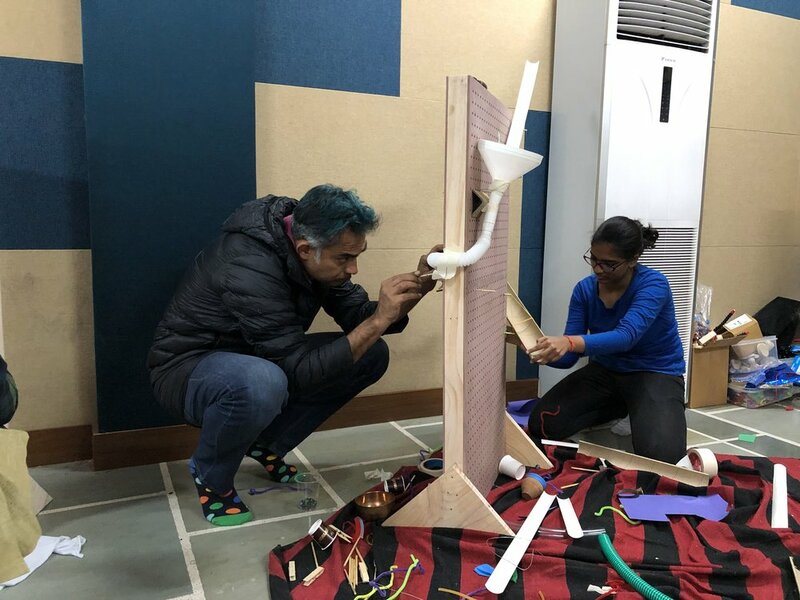 Unlike many of my international tinkering adventures where I bring the majority of the materials, for this collaboration, the Dharohar staff built and collected pretty much everything that was needed for the workshops before I landed in Rajasthan. I arrived at the Dharohar office one day before the workshop was to begin and we got right to work organizing materials, building some final elements and setting up the training room space. 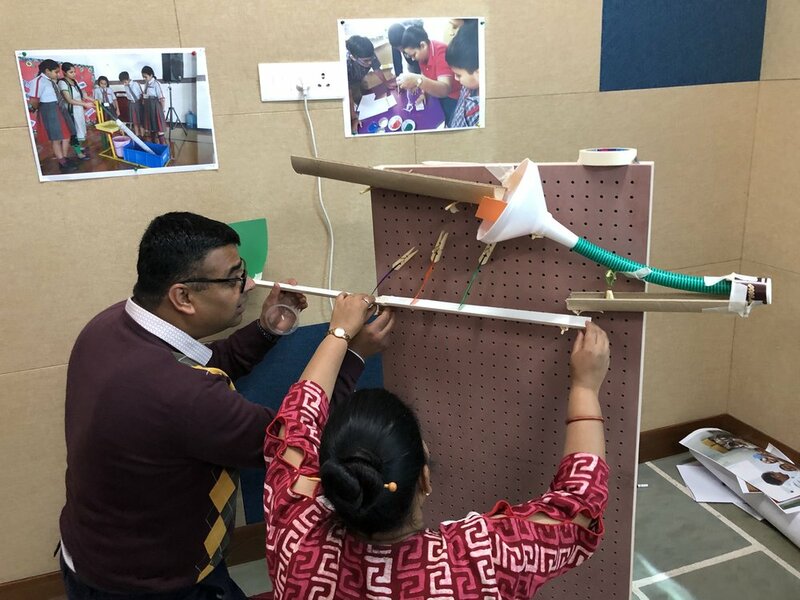 We planned to lead marble machines, light play, cranky contraption automata and chain reaction with the participants alongside discussions about learning through tinkering. The next morning, the twenty or so workshop participants arrived and we started with a quick introduction to the tinkering philosophy and gave them the chance to share their thoughts with the compass point thinking routine. We quickly moved to marble machines and the group broke into pairs to create a contraption that helped a marble slowly travel down the board. A few new things that we tried with this activity was using bamboo skewers in place of wooden dowels, PVC pipes cut in thirds instead of crown molding and a few other unique tubes and cups. Participants made some really nice creations and engaged deeply with the materials. 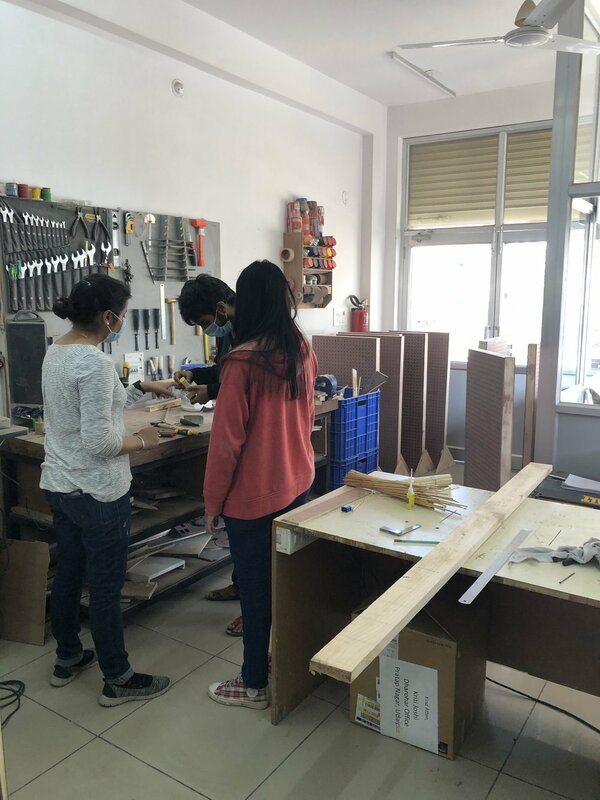 Many of the volunteers we’re professionally trained as engineering and that mindset showed with a meticulous design sense and a willingness to push boundaries to create projects with big jumps, marbles that hit other balls and pathways that spiraled around the board. I loved the collaborations that happened as well. One of my favorite moments was Aditya and Sanhita switching places on either side of their machine in a period of less than 5 minutes. It was fun to notice how partners communicated with materials, shared ideas and trusted each other to continue the process. After about two hours of building, the group shared their constructions and we had a discussion about how the activity felt as a learner. After lunch we moved to light play, a completely different take on tinkering that allows participants to explore light and shadow. One really interesting thing that we experimented with was just using white lights (a throwback to original PIE version of the activity) with LED pieces based on the tinkering studio design, but that were only about $1.50 each to create. We’re working on an instructable to share the design. 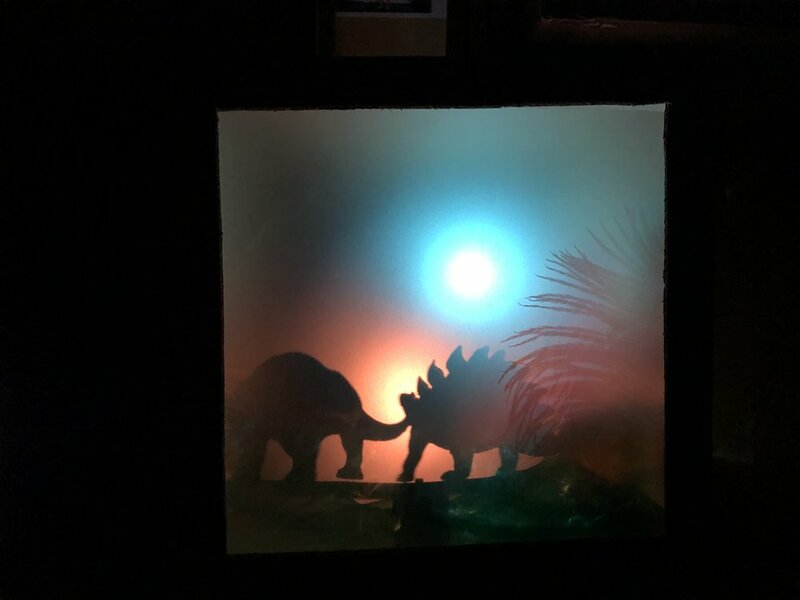 There were a couple issues with the materials of the screens (we used a plastic film that distorted the images), motors that were too fast (we used the little yellow motors) and boxes that were a bit too small, but participants embraced the challenge and created some amazing scenes. When we placed them all together, it was so beautiful to see all the different colors created with the white lights and a variety of gels, filters and reflective materials. Each pair shared the story of their scene which added an extra layer of depth to our understanding of the storytelling, personally meaningful design and intentionality that is a core part of tinkering activities. For the final discussion of the day, we did a modified version of “where do you stand” focusing on what participants can get out of doing this activity. It was a great first day and we left exhausted, inspired, and excited for the second half of the workshop.